Cats can be very picky eaters and that can make things difficult when you are trying to help them lose weight or just want them to eat healthier. 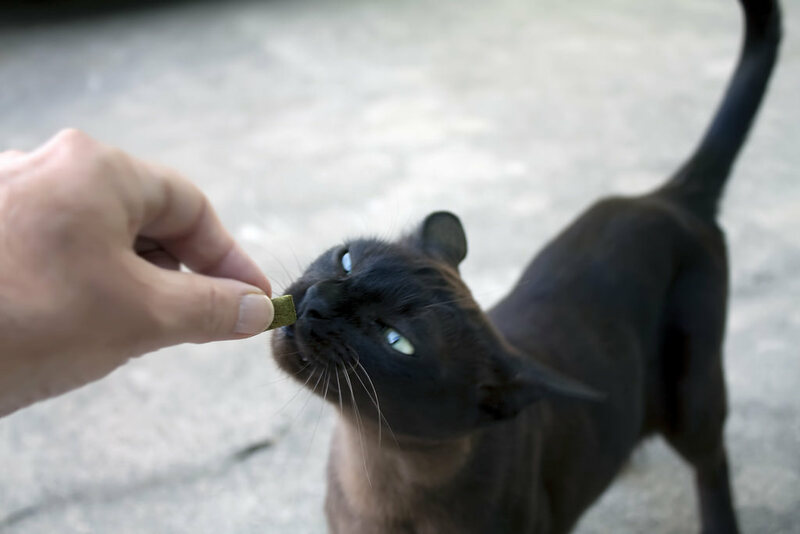 If you are one of the millions of cat owners looking for easy, healthy and fun treat ideas check out our list of treat tips and ideas. Cats are very similar to people in that they can develop a taste for certain treats and decide they’d rather eat those treats than their regular food. To avoid these issues stick to giving your cats treats only 2 to 3 times per week instead of every day.